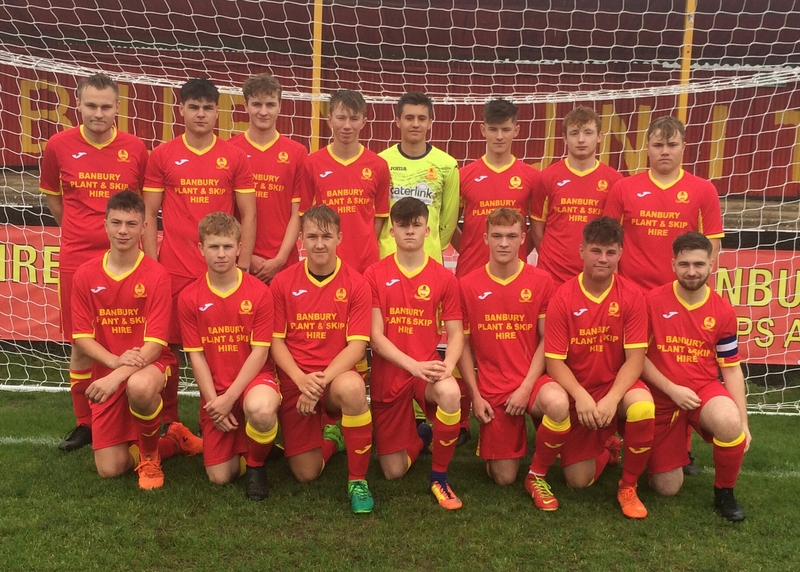 Banbury United Under 18's were denied a credible draw at home to recent league leaders AFC Telford Under 18's when the visitors scored a winner from a free- kick 2 minutes from time. It was tough on Banbury as the resilience they had shown throughout the game, against a good AFC Telford side should have earnt them a point. It was clear early on that the visitors were going to have a fair amount of possession and were passing the ball around well. However, Banbury were well organised and defended well throughout a tight first-half where AFC Telford did not have many clear cut chances. Banbury Utd were working hard and restricting AFC Telford to long range efforts. On of these did hit the woodwork. Banbury Utd's strong resolve was looking as if it would be rewarded with a point and the home side were creating the odd chance themselves. Ten minutes from time Banbury Utd were awarded a free kick just outside the area and Ryan MacDonald struck it well and pass their keeper to give Banbury the lead and a real chance to grab the 3 points. It was not to be, as 5 minutes later AFC Telford equalised when one of their players struck a delightful shot from 25 yards into the top corner of the goal. It was now a case of Banbury seeing if they could see out the game for a point. Unfortunately it was not to be as AFC Telford were awarded a free kick just outside our area and the shot was low and crept in to give the visitors the win. Banbury can be pleased with their performance against one of, if not the best, side we have played this season. Despite the defeat Banbury Utd Under 18's are still just in the top ten of the league having played some of the top sides in recent weeks.